How much does your healthcare really cost? How many days must you work each year just to pay for your healthcare? How does this compare to earlier history? How does this compare to the cost of food? These questions are of great interest as we continue to debate the effectiveness of the Affordable Care Act, better known as ObamaCare. The whole premise for this legislation, that was passed in 2010 by the Democratic Party without a single Republican vote, was to lower the cost of healthcare and provide insurance to those who could not afford it. 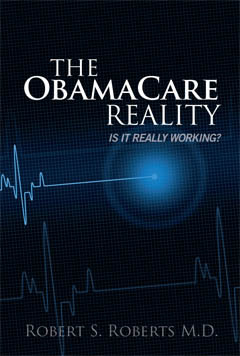 Therefore, answering the above questions tells us much about the effectiveness of ObamaCare in achieving its goals. Chris Conover, Duke University economist, has analyzed the data to answer these questions and provides his insights in a recent Forbes column. 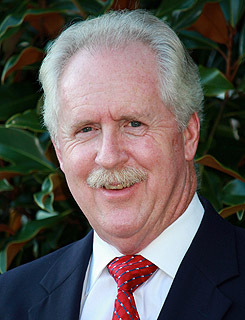 He says the latest official statistics show that Americans in 2016 spent $10,348 per person on healthcare. How many days must you work each year just to pay for your healthcare? How does this compare to earlier history? This is nine times longer than the average worker worked to pay for healthcare in 1940. How does working to cover healthcare compare to working to cover food costs? 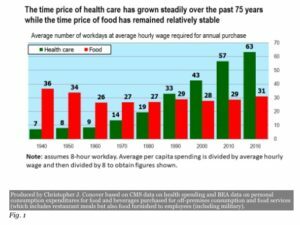 The average worker must work more than twice as long to cover healthcare as to cover food costs. Conover explains the average hourly wages used to calculate the above graph is for production and non-supervisory employees in manufacturing. The average hourly wage for these workers is $20.46/hour. Obviously, those who do not earn that much per hour must work even longer to pay for their healthcare. Also, those who must support non-working dependents must work enough hours to pay for the healthcare of those dependents in addition to their own. Conover also points out that the true expense for most families is hidden. If you only kept track of out-of-pocket spending and the amount deducted from your paycheck to pay for health insurance, you would miss a lot. Out-of-pocket expenses only account for 11 percent of healthcare spending. The employee share of health insurance spending accounts for less than 20 percent. Only 28 percent of all healthcare spending is paid directly by households. All the rest appears to be paid by others. But Economics 101 tells us that any amount paid by your employer ultimately comes out of your compensation and all taxes are ultimately paid by households. ObamaCare has failed to influence this trend, even though that was one of its primary goals. 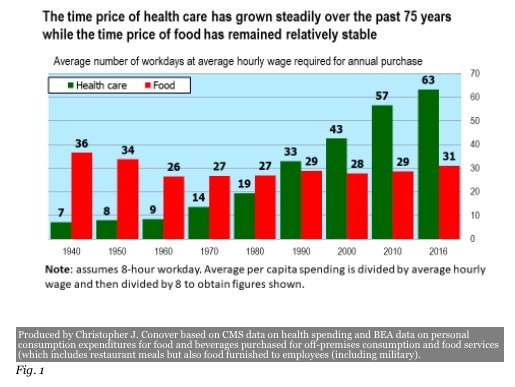 At the present trend, the time costs of paying for healthcare are approximately five times that of paying for food. With the inflation of healthcare costs, workers are spending one extra day per year working to pay for their healthcare. This trend cannot continue forever. 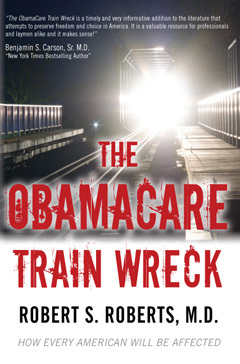 When it will stop depends on how long the American people are willing to put up with ObamaCare. Always data used to make a strong statement about the sad truth about Obamacare! Great article.